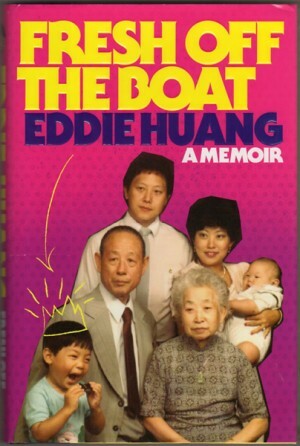 Fresh Off the Boat is a memoir about food, family, and not fitting in in America. It’s author, Eddie Huang, is a foul-mouthed, hip-hop loving raconteur and restaurateur, a Gen-Y immigrant kid from a Taiwanese family in Orlando. It was Anthony Bourdain who turned me on to him via Twitter, and though he is occasionally problematic and I don’t always agree with him, I’ve been a fan ever since. I knew kids like Eddie, and while I might be a little too “middle-class white girl from the suburbs” to really relate to many of his stories, I respect his hustle and the way he tells his story unfiltered. This is not a boring book. This is more over-arching memoir than straight food book, though food is a dominant theme. Been there, in some form or another, too many times. What I like about this book is how much stuff matters to Huang. Soup dumplings, hip hop, fire red Air Jordan Vs – all of it is important, and defining. And Huang is defiant, opinionated, and not good with authority. He is an underdog throughout – at home, at school, in America – and he wears it well. Huang is an anti-hero with a felony on his record, a law degree, and a 2010 New York Times “Best of New York” credit to his restaurant’s name (Bauhaus). He has a lot to say about race, class, food (history, origins, quality, sourcing – you name it), music, American and Taiwanese cultures, basketball, poverty, and family. It’s all complicated, and though it wraps up pretty nice in the end you never get the sense that there’s any promise of that. You never quite know what to expect. Eddie Huang fux with you. No recipe today because I’m kind of dead tired, but if you’re looking for a good/witty/occasionally abrasive summer read (and if you grew up in the 90s … there are a lot of references to get), check out Fresh Off the Boat. I have two more posts to produce and three more recipes; stay tuned.